No matter how much you plan for something you can never really be sure of the outcome. Even if you use a strategy that worked for you in the past, the outcome may not still be the same. In digital marketing, the greatest strategies can still fall flat. Hours of poring and strategizing goes into the marketing plan, but you can never really be sure about the outcome until you give it a try. In the digital marketing world, evaluating the outcome of a failed strategy can take quite a while. Organizations lose quite a lot of money on digital marketing strategies before they realize that their efforts are not yielding fruits. Truth is, digital marketing is not cheap, it takes up a big chunk of your marketing budget. So, any failed strategy is painful. Digital marketing strategies undergo often changes because it is operating in an industry that is rapidly evolving. Even the best strategies need to rely on metrics to evaluate their successes, adjust and improve. Regardless of the methods and approach you adopt in your digital marketing campaign, there are four key areas you should be tracking. Here is a breakdown of the four areas and establish some of the specific performance indicators you need to be watching now. The first stage of analyzing your digital marketing efforts is to track your traffic metrics. Traffic is the first indicator to know if your search engine optimization (SEO) and other paid media are really generating leads to your school. Ideally, even without a paid digital marketing campaign, schools should be checking overall site traffic to know the number of site visitors they have monthly. Knowing how many visitors you garner organically every monthly, will aid in measuring the success of a paid campaign. This is because you can easily tell if there is a dramatic increase in traffic to know if the paid campaign is working. Truth is, the higher the traffic to your site, the higher your potential customer base. If two hundred families know about your school, you cannot have more than two hundred families enroll their kids at your school, and that is assuming you have a 100% conversion rate. But if ten thousand families know about your school, even with a 10% conversion rate, you have done better than when your potential customers were two hundred families. Simply put, the bigger your potential customer base, the bigger your chances of increasing your enrolment and revenue. Another use of the traffic matric is to measure the source of your traffic. Knowing where your traffic is generated will help know which platform is more efficient and which keywords or phrases did the trick. This metric can help you in crafting winning content and media. From this, you will point out the keywords that do not generate traffic and remove them from your campaign. Thirdly, traffic metric also helps you determine your click-through rates (CTR) which is a vital tool in measuring pay per click (PPC) ads. CTR measures the actual number of people that click your ads. The higher CTR you get, the higher your leads. Hugh CTRs also raise your school’s ranking on search engines such as Google, Yahoo, and Bing. Every digital marketing effort is ultimately aimed at creating revenue. As a school, you can say your digital marketing is successful when your school becomes more popular among your target audience, more students enrol in your school, and ultimately there is a significant increase in your revenue. Revenue metrics is an area to track to know precisely how beneficial your digital advertising effort is. The huge metric to pay special attention to here is the degree of Return on Investment (ROI). Basically, ROI will measure conversion rates, and it will tell you precisely which strategies are driving sales (PPC or SEO) and which ranges require changes. Next metric to look at is a cost to acquire a customer (CAC). CAC is an expansive range estimation, yet it can be a good pointer to profitability. Fundamentally, it's a count of your aggregate marketing expenditure over a certain period, divided by the quantity of new paying customers during the same period of time. Conversion metrics is the core of your digital marketing campaign. The main purpose of your digital marketing efforts is to convert your audience to enrolled students and increase your revenue. The conversion rates (CVR) measures the success rate of changing your audience from prospects to enrolled students. The CVR enables you to know the demographics of the leads your SEO and other paid ads are generating. From these numbers, you can determine if your digital marketing efforts are attracting the right target audience for your brand. With CVR you can also know if your content is compelling enough to cause conversions and retention. To check if your content is winning for you, determining your bounce rates comes in handy. The bounce rates is basically used to track the time users spend on your site. The higher the bounce rate, the lower the time they are spending on your site. Low bounce rates mean your visitors are spending a lot of time of your site and this is an indicator that your content is good. You will also check if your visitors are moving past your homepage to look at other pages on the website. If you lose your visitors on the homepage it is not a good sign. Lastly, tracking return visitors is very vital. Did your visitors have a good experience that makes them want to come back again? You need to work on converting your visitors to loyalists. There can be no digital marketing campaign without the use of social media. Social media has fast become the most effective channel for digital marketing. The metrics you get from social media would be the most relevant you could ever get. To analyse your social media performance, first, you need to analyse impression metrics. The impressions tell you how many users are seeing your posts on Facebook, Twitter, and Instagram. The number of people that see your posts are the potential leads you will get. After measuring impressions next is engagement. This is the number of people that see your posts and interact with it. Interactions could be likes, shares or comments. The purpose of posting on social media is to socialize with your audience. You do not want to post something and get no engagements. 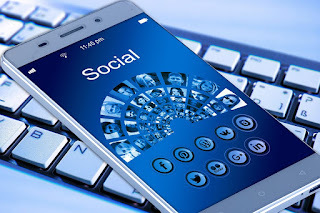 The amount of engagements you get from each post is an indicator of how well the post is resonating and connecting with your audience. After every digital marketing campaign, it is important to take time to appraise the strategy. Taking note of successes and failures will guide you to make the most of your next digital marketing strategy. Digital marketing assessment has been made easy with the launch of myriad analytics tools. You can employ software programs like Google Analytics, Hootsuite, Moz, GoSquared, and Adobe Social. When these measurements and analytics is carried out, ensure you adapt these results to your next digital marketing strategy. Bear in mind that every research is futile until action is taken. This post was first published on DucoBrands.